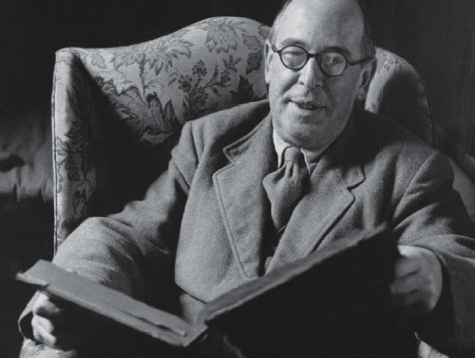 Debunking Christianity: C. S. Lewis and the Case of the Missing L’s. C. S. Lewis and the Case of the Missing L’s. While I still enjoy Lewis’s writing style, I can now see how he stacked the deck by limiting the options regarding Jesus to Lord, liar, or lunatic. One doesn't have to be much of a detective to see that there are a couple of missing L’s. Bart Ehrman points out that there is a fourth option - legend - in his book Jesus, Interrupted. Not that Ehrman is a mythicist – he is just pointing out the inadequacy of Lewis’s argument. Apparently, writing that is clumsy, unimaginative, and lacking in artistry somehow validates itself as historically truthful. I’m quite sure that verdict is not warranted! The next time a believer tries to impale you on Lewis’s theological trident, it might be helpful to discuss with them the fifth ‘L’ which he neglected to mention. An ‘L’ which might show that Jesus and Aslan truly are related. The multiple, often contradictory, portraits of Jesus presented by the Gospels reveal him not to be the Son of God, but a character created by writers with differing religious agendas. A character based perhaps on an actual historical person, but fan fiction nonetheless. The words in the mouth of Jesus were the words that each gospel writer chose to place there, just as Lewis created the dialog of his Narnia characters. And, as Bart Ehrman has pointed out, Christians create a fifth Gospel when they form their own composite portrait of Jesus by picking and choosing what they like out of their readings of the four Gospels. Now that the missing L’s have been located, it’s time to close the case on Lewis’s false trilemma. Every time the corpse of this argument is dug up, re-bury it by using the unreliable testimony of the Gospels against it. Now that is some expert testimony I can agree with!